BY JIM DOOLEY – Congressional candidate Colleen Hanabusa and her husband, former State Sheriff John F. Souza III, have deep political and business ties to real estate developer Jeffrey Stone, builder of the luxury Ko Olina Resort on the Leeward Coast of Oahu. Stone, his companies and close business associates have donated $130,000 to Hanabusa’s political campaigns since 2002, election records show. In the current congressional race, Stone, his wife and daughter have donated $11,000, while other Ko Olina-related donors contributed another $47,150 to the Hanabusa election effort, according to Federal Election Commission records. The Ko Olina-connected donations total about 5 percent of the $1.2 million in individual contributions reported by Hanabusa’s congressional campaign through October 25. Counting money from political action committees, the Hanabusa campaign has raised more than $2.1 million. Stone has given no money to the congressional campaign of Hanabusa’s Republican opponent, Charles Djou, but has contributed $22,500 since 2008 to the Hawaii Republican Party. He also contributed $10,000 in 2007 to the National Republican Congressional Committee. Stone did not respond to requests for comment on this story. Hanabusa and Souza declined to comment on this story. The couple and Stone have said previously that their political and business dealings are aboveboard and ethical. The Ko Olina tax credit legislation, intended to promote development of a “world-class” aquarium at the resort, expired after plans for the aquarium were abandoned. Stone said in 2004 he was careful to avoid even an appearance of impropriety in business deals with friends and associates after he was indicted on theft and bribery charges by the state Attorney General’s office in 1988. The state charged that Stone overpaid two Bishop Estate trustees in real estate transactions in return for favorable treatment in a larger deal with the estate. The case was thrown out of court after a judge ruled the state obtained the indictment illegally. The mixture of personal and political ties between Souza, Hanabusa and Stone was first publicized in 2004 and has been highlighted in recent attack ads mounted against Hanabusa by her Republican opposition in the current campaign. Television and radio ads now being aired by the National Republican Congressional Committee – the same group that received $10,000 from Stone in 2007 — alleges that Souza’s original townhouse purchase was “a sweetheart deal” with Stone that was connected to the tax credit legislation. Souza and Stone have continued to do business together since 2004 and the Stone-related campaign contributions have continued to flow into Hanabusa’s campaign, records demonstrate. Two Stone companies, Kahe Homes LLC and Commercial Property Advisors, sold a plot of industrial-zoned land near Ko Olina to a Souza-owned company, Pueo Enterprises LLC, in 2007 for $412,500, according to real estate records. When that deed was recorded, the mailing address used by Souza’s company was that of another firm controlled by Stone, The Resort Group LLC. Last year, Souza provided equipment used for a beach-cleaning contract at Ko Olina held by a company headed by Paul Hospodar, chief of security at the Ko Olina Resort, business records show. Hospodar, a former Honolulu Police Department officer, has been a regular contributor to Hanabusa’s political campaigns, records show. Last year and this year, he gave a total of $4,850 to Hanabusa’s congressional campaign. Hospodar could not be reached for comment on this story. Hospodar was fired from the police force in 1995 for violent behavior and alleged drug abuse, but this year won a long-running court suit against the city, which claimed HPD had wrongfully terminated him. A jury awarded him $82,000 in damages in 2006 and the state Intermediate Court of Appeals upheld that verdict in a ruling issued early this year. 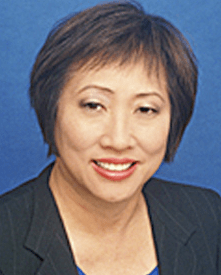 Hospodar’s lawyer in the case was Dean Choy, a longtime legal associate of Hanabusa’s who served as treasurer of her unsuccessful 2006 congressional campaign. Choy and Hanabusa shared office space in the mid-2000’s in a Fort Street Mall building that was owned by Jeff Stone and leased to John Souza. Hanabusa and Choy represented the Ko Olina Community Association in an unsuccessful lawsuit against the city that challenged continued use of a municipal landfill on property near the Ko Olina Resort. While on the police force in 1989, Hospodar was charged with felony assault after he punched out the front teeth of a man during an altercation in the restroom of the Saigon Passion hostess bar on Kapiolani Boulevard, according to court files. In a plea agreement with prosecutors, Hospodar later pleaded no contest to a misdemeanor assault charge, although his lawyer argued that Hospodar, who was off-duty at the time, was attacked by a customer who was high on drugs and liquor and who had earlier assaulted one of the bar’s waitresses. Hospodar, 39, joined HPD in 1983. He was given a “last chance agreement” by the department in 1994 – the final step before termination – because of the assault case and a separate incident of violence against a fellow officer, according to court files. He was terminated after drug testing found extremely high levels of testosterone in his system in 1995. Hospodar, a weight lifter, denied use of steroids or other illicit drugs and sued. During the trial city revealed that the drug testing lab it employed had lost one of two urine samples Hospodar had provided. Hospodar has thrived financially since going to work at Ko Olina. In 2008, he sold a Ko Olina Kai townhouse to Honolulu City Council chairman Todd Apo, a longtime Ko Olina employee, for $800,000, according to real estate records. Apo will resign from the council on November 8 and work as a public relations director for the Walt Disney Corp.’s Aulani Resort project at Ko Olina. A Disney political action committee gave $5,000 this year to Hanabusa’s campaign and $5,000 last year to Djou’s campaign. John Souza is a former HPD detective who was named head of the state Sheriff’s Division by Gov. Linda Lingle in August 2003. He resigned the post in 2004 following a news story about his business dealings with two convicted felons. Souza said at the time that while the business deals looked bad, they were legitimate activities begun well before he took the sheriff’s job. One of the felons, George “Buddy” DeRamos, was a former HPD officer who was convicted in 2001 for obstructing an FBI investigation into the beating of an HPD cellblock prisoner. After serving time in federal prison for that offense, DeRamos was hired by Souza as an employee of a Souza trucking company that held contracts on Ko Olina construction projects. Souza said DeRamos was a “dear friend” who needed a helping hand after his release from prison. The other felon was Jonnaven Monalim, a Leeward Coast criminal figure who bought real estate from Souza that had originally belonged to Hanabusa. “I would never have done that after I (became Sheriff),” Sousa said in 2004. Monalim’s house was searched by federal agents and police in 2004 as part of a wide-ranging narcotics trafficking investigation. Monalim testified last year as a key prosecution witness in the organized crime racketeering case against two of his cousins, Rodney Joseph Jr. and Ethan “Malu” Motta. He said he began cooperating with the FBI after agents told him they had evidence connecting him to drug deals and money laundering. Joseph and Motta were convicted of murdering two men in what authorities said was an organized crime turf dispute over illegal gambling. Jeffrey Stone's dealings in Aina Haina are Part 2 of his Ko'olina escapades. Taxpayer money went to purchase the 85 acre Aina Haina Nature Preserve. The preserve is a rock slide area home to many Hawaiian heiau, and endangered plants and birds. Stone and his wife who was the attorney, cut a secret deal and carved out 9.5 acres in the middle of the Preserve. To make their gated development they have tried to block off the Wailupe Ahupuaa Trail which is the community entry to the mountains. Rich developer, money and inside political dealings equals another raw deal for the community and taxpayers.